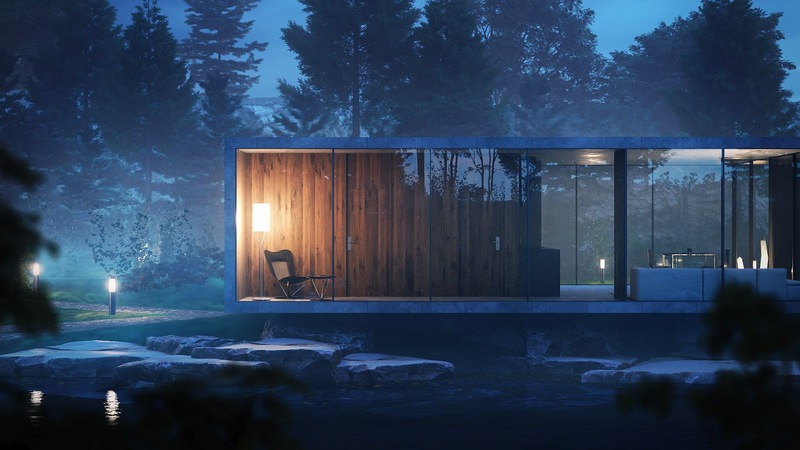 Do you want to become a professional Archviz artist? Or perhaps you just want to know how to make those images you dream about. Then this four-day workshop by FlyingArchitecture is for you. Basics of Rhino, management, optimization, and light. You’ll start with a given 3D model of a house, without the surrounding assets (trees, shrubs, rocks). These will be added during the day. Matus and Lukas, from Flying Architecture, also go through Rhinoceros scene optimization, Asset Management, V-Ray Options, Scene Lighting explanation, and its rules and camera basics. You will end up with a fully furnished scene with all assets placed and a model ready to be rendered in clay, for proof of composition and lighting. You’ll start creating materials—from the basic V-Ray materials to more complex Blend materials for leaves, or even terrain. You will also adjust the V-Ray lighting and explore Render channels and finally, tweak the settings to achieve the best output. Matus and Lukas will explain postproduction. You’ll start with Photoshop and understanding the basics of layer management. Masking and adjustments will seamlessly transfer to a full postproduction work toward the end of the day. You will end the third day’s session with a finished image. The last day will be dedicated to using the knowledge you gained during the workshop and to find its practical use for quick scene setup. You will set up an extra image as an exercise the knowledge you gained. Then you will run it and finish it in Photoshop. The last few hours will be for discussion of the upsides and downsides, about what you struggled with, and to talk about the specific issues you may encounter. See what the students created in a previous workshop at XJTLU in Suzhou, China. It is Rhino 5, but Rhino 6 users can still run their 5. Required hardware: Students must bring their own laptops with software preinstalled and up-to-date.